This page features sample lessons from the Grammar and Writing curriculum. 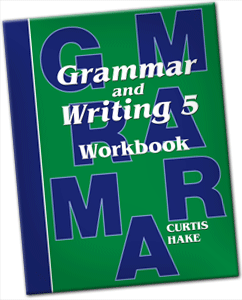 There are two student components at each grade level, including a hardcover Student Textbook (100+ grammar lessons and review sets) and a softcover Student Workbook (35+ writing lessons). 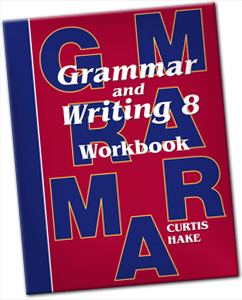 The following samples of the Grammar and Writing student textbooks include the first ten grammar lessons and review sets plus a handful of later lessons to demonstrate how the instructional material is presented and reviewed. You will notice that the Grammar and Writing textbooks are not constructed as "grammar reference books," but instead are carefully designed to promote deep-rooted learning using the proven instructional techniques of incremental development and continual review. 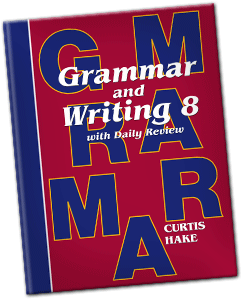 This preview, taken from the 6th grade Student Edition of Grammar and Writing, includes 10 lessons, dictations for the first few weeks, and a clipped sample of journal topics. 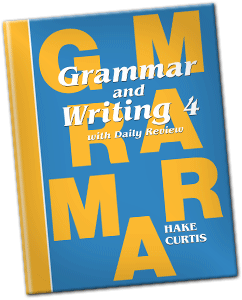 Previews for Grammar and Writing 3 are coming soon. If you have further questions about the Grammar and Writing series, we welcome you to contact us and review the Frequently Asked Questions (FAQ) page. If you represent a school, please contact us if you wish to review a hard copy sample of the curriculum for your classroom(s).